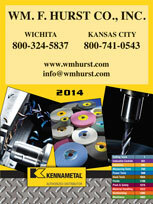 When industrial companies need cutting tools for their operations in Kansas City, Dallas, Fort Worth, Wichita, and other Midwest cities, they turn to Wm. F. Hurst Co., LLC. With more than 50 years of experience, we’re the premier supplier of industrial tools and supplies in the Midwest, and our unmatched inventory features a wide variety of cutting tools for different cutting processes. During our time in business we’ve worked with companies in many industries, from aerospace and fabrication to automotive and agriculture. We are familiar with many industrial applications and processes and can help you find the right tool for the job the first time you call. Our staff has decades of experience with these brands, so we can recommend the ideal products for your needs. All members of our outside sales staff are all Kennametal Certified Metalcutting Professionals (CMPs), so we are qualified to make tooling recommendations for your needs. 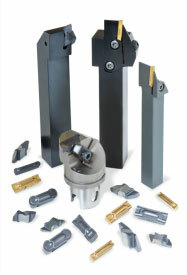 Contact us today to learn more about our cutting tools, which includes our vast selection of end mills. Industrial customers in Kansas City, Dallas, Fort Worth, Wichita, and other communities throughout the Midwest can also turn to us for metalworking fluids, abrasives, assembly tools, and other industrial products, including Sugino air feed drilling equipment and other power tools. We can also tell you about our innovative integrated supply services and vending systems, which can help you better manage your inventory and reduce operating costs.